Enjoy the best inspirational, motivational, positive, funny and famous quotes by Archie Carr. Use words and picture quotations to push forward and inspire you keep going in life! 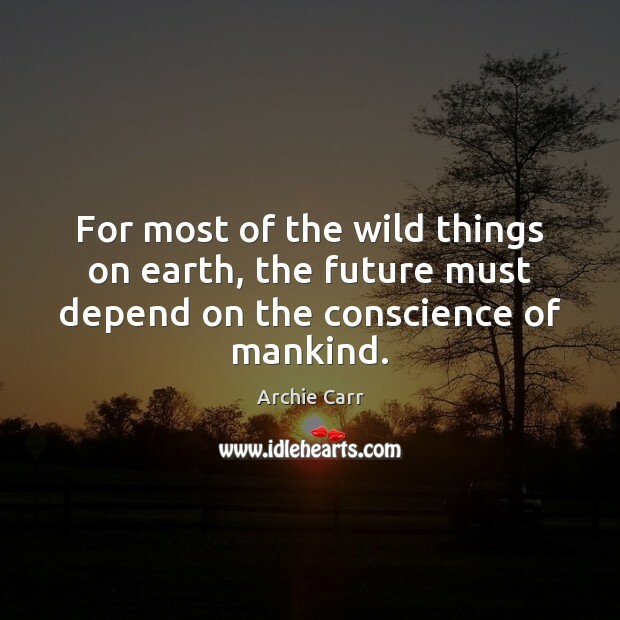 For most of the wild things on earth, the future must depend on the conscience of mankind. I am asking you all not to be nettled with me for not answering your letter in spanish I read spanish very well but I don't write it. 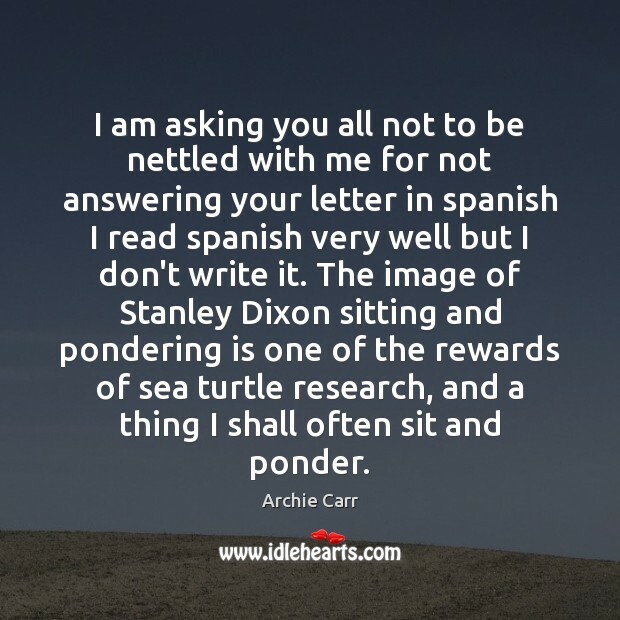 The image of Stanley Dixon sitting and pondering is one of the rewards of sea turtle research, and a thing I shall often sit and ponder. Re. 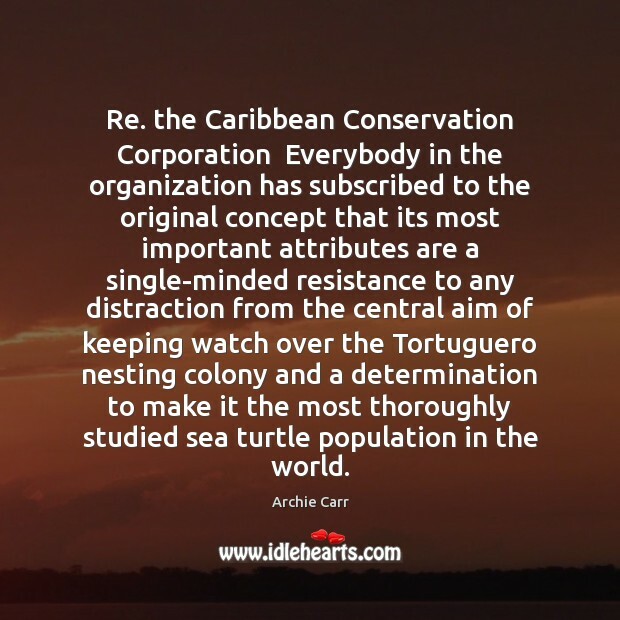 the Caribbean Conservation Corporation Everybody in the organization has subscribed to the original concept that its most important attributes are a single-minded resistance to any distraction from the central aim of keeping watch over the Tortuguero nesting colony and a determination to make it the most thoroughly studied sea turtle population in the world.